La Quinta is located in Riverside County, California, United States. This beautiful resort city is located in the heart of the Coachella Valley nestled in-between the Desert cities of Indio, Palm Desert and Indian Wells. This high growth city has lead to rapid expansion of both the business, housing and population. As at the 2010 United States census, the population of La Quinta was recorded to be 37,467; a number that represents a sizable increase from the 23,694 that was recorded in the year 2000 census. The city’s growth rose sporadically in the mid-1980s, and that was the major factor that led to its incorporation as a city in the Riverside County in 1982. In the 1980 United States census, La Quinta recorded 4,200 residents. By 1990, the number had increased to 11,215, marking the city’s early phases of residential area growth. Although the city was a predominantly part-time community up until the early 90s, more full-time residents began to live in La Quinta. La Quinta also has a strong business community with major players moving in and opening giant retail stores like Southern California’s first Walmart Supercenter. A vast majority of the city’s residents work for tourism establishments like hotels, casinos, resorts, and golf courses. The city generates billions of dollars in revenue every year, and new businesses continue to spring up in the city every year. La Quinta real estate buyers are often are searching for the perfect golf course or non-golf course community for a second home or for a full-time residence, should consider La Quinta as a top choice to start the home selection process. 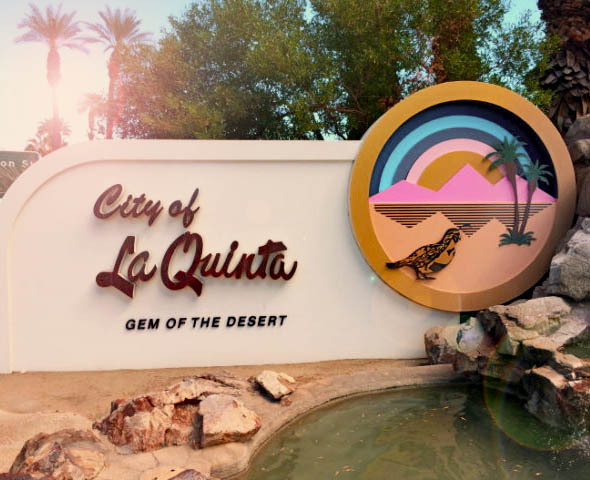 With one of the best selections and a large inventory of home and communities, La Quinta is a sure bet to find an ideal desert oasis. Be sure the visit the full list of golf-course and non-golf course communities to narrow your home search based on price and amenities! Golf is King in La Quinta! Among the many accolades by golfers and media, La Quinta has been acknowledged by the Robb Report as the foremost golfing destination in the United States. 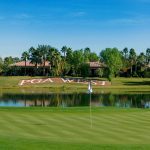 One of the most notable golf destinations in the city is the is the world-famed La Quinta Resort and Club that has captured the imaginations of tourists and residents since as early as the 1920s. Famously, La Quinta Resort and Club is the very is the place where Frank Capra wrote the screenplay for Lost Horizon and the beautiful vistas of the Santa Rosa Mountain ranges are sure to inspire creativity in anyone. This tradition of high quality golf communities continues to this day with the addition in January 2008 of an the Arnold Palmer Classic Course (PGA West) at the SilverRock Golf Resort. With the vast history and continued investment in golf La Quinta is and will remain the King of golf in the Desert for years to come! One of the favorite hot spots in la Quinta is Old Town La Quinta. This bustling commercial area is famous for great food, breweries, retail shops and festivals. 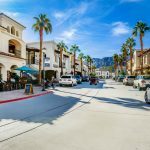 As the home of La Quinta Arts Festival, Restaurant Week and many other events trough out the year, Old Town is a great place for locals and tourist to enjoy the beautiful weather! Another great reason to own real estate in La Quinta!